Want it by Wednesday 24th April? Order within 2 hours, 2 minutes and choose Next Working Day - Kerbside Delivery (Order Must be Placed by 2pm) at checkout. 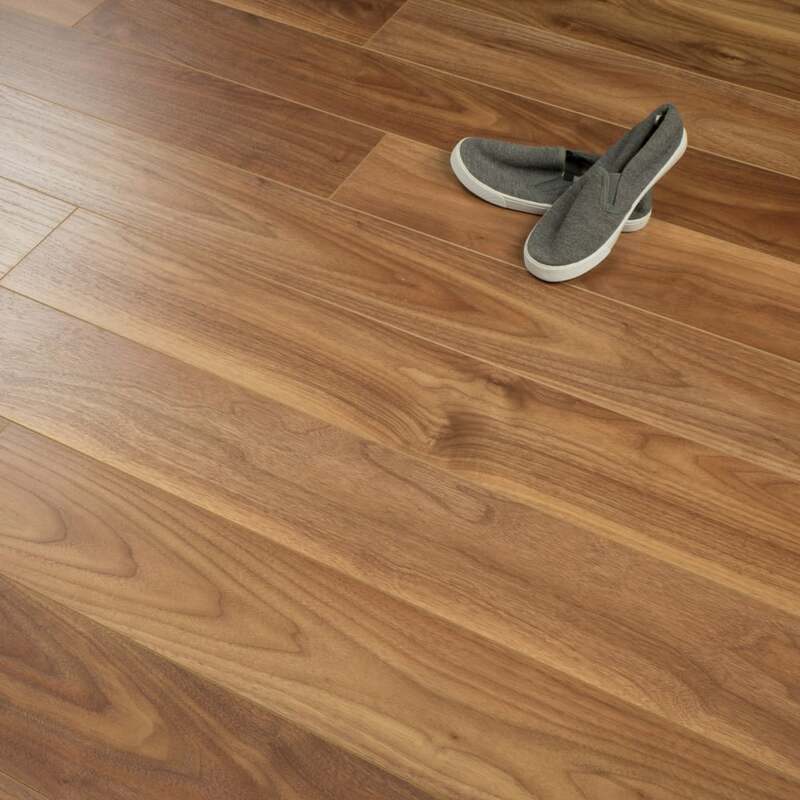 The Balterio Stretto Valencia Almond 8mm supplied at Discount Flooring Depot consists of unique 134mm wide boards in whole range of colours varying from oaks, hickories, cherries and walnut. This board is an excellent alternative to a oak solid or engineered board because of its durability and resistance to things such as scratches, stains and impact. This 8mm board comes with a superb 25 year residential warranty and for those of you who want to use this fantastic board in commercial property will be supplied with a 12 year warranty. The board also comes with a 4-sided bevelled edge, which will help provide a more natural finish and add both value and charm to your home.